•	An overview of current research on quality professional development and how it aligns with the National Science Education Standards. •	Fourteen professional development programs that provide real-life models of how to train current or future teachers to carry out the constructivist, inquiry-based approach recommended by the Standards. End-of-chapter questions help you relate the material to your own situation. •	A reader’s guide that includes suggestions for using the book in professional learning communities and other collaborative settings. Some of the collection’s authors contributed to the first edition and have updated their chapters to share additional data and communicate what they’ve learned that might support your work. Additional chapters describe programs and approaches new to this edition. 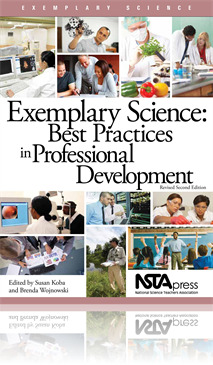 Whether you’re a teacher, staff development provider, administrator, or preservice science methods instructor, you’ll find this collection to be a fresh and highly useful professional learning tool.